If you’re in the market for a new car, truck or SUV from Chevrolet and you live in Green Bay, then there’s no better place to go than Broadway Auto on Ashland! Whether you need a heavy-duty pickup truck to handle all your towing and hauling needs, a large SUV to carry all your friends and family or a fuel-sipping compact to get you from point A to point B as efficiently as possible, Chevy has a vehicle for you! 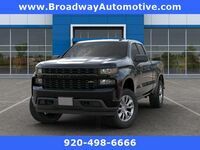 Broadway Auto has one of the largest Chevy vehicle selections in the area filled with the latest models Chevy has to offer from the 2019 Chevy Silverado 1500 to the 2019 Chevy Suburban and more! Plus, Broadway Auto has the lease specials to make your purchase affordable and right for you! Our staff will help you choose the right model for you, then come up with a plan that gives you the car you deserve without putting a dent in your wallet! View our special offers and contact our staff to get started, today! *To approved credit through GM Financial. Lease a 2019 Chevrolet Colorado Ext Cab for $279/mo for 39 months, 32,500 miles with $2,999 down payment or trade equity due at delivery. No security deposit required. First month’s payment, tax, title, license and service fees extra and due at delivery. Offer expires 4/30/19. See dealer for details. *To approved credit through GM Financial. 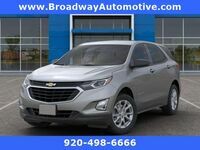 Lease a 2019 Chevrolet Equinox for $199/mo for 39 months, 32,500 miles with $2,999 down payment or trade equity due at delivery. No security deposit required. First month’s payment, tax, title, license and service fees extra and due at delivery. Offer expires 4/30/19. See dealer for details. *To approved credit through GM Financial. Lease a 2019 Chevrolet Silverado Dbl Cab for $294/mo for 39 months, 32,500 miles with $2,999 down payment or trade equity due at delivery. No security deposit required. First month’s payment, tax, title, license and service fees extra and due at delivery. Offer expires 4/30/19. See dealer for details. *To approved credit through GM Financial. Lease a 2019 Chevrolet Trax LT for $179/mo for 39 months, 32,500 miles with $2,999 down payment or trade equity due at delivery. No security deposit required. First month’s payment, tax, title, license and service fees extra and due at delivery. Offer expires 4/30/19. See dealer for details. If you’re looking for a new sedan, then you can’t go wrong with the new Chevy Impala with its impressive efficiency and load of features. Or, if efficiency is your top priority, compact models like the Chevy Cruze and Sonic may suit you best. And, of course, for the thrill-seekers, there’s the iconic Chevy Camaro that, after decades, is still a special kind of muscle car! Of course, you can’t talk about Chevy without thinking about pickup trucks. The Chevy Silverado is still one of the most popular pickup trucks in the country with its incredible capability and durability and is offered in the lighter 1500 model all the way to the heavy-duty 3500HD models. Also, there’s the Chevy Colorado, a great compromise of efficiency and capability! Chevy may be most known for its pickup trucks, but its selection of SUVs and crossovers are as good as any you’ll find on the market. Need a smaller SUV that has space but doesn’t waste gas? 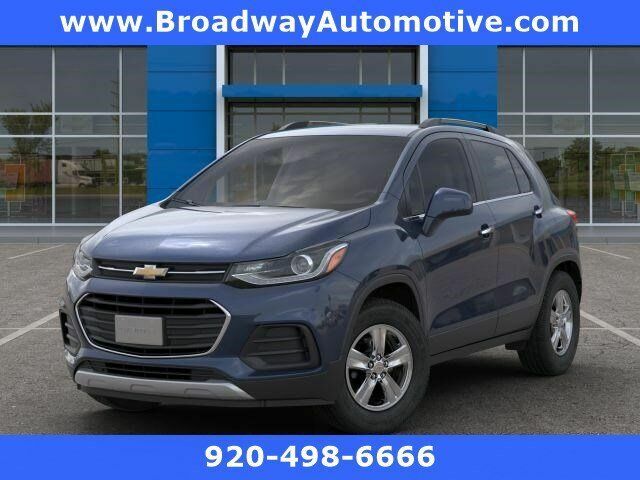 The Chevy Trax is your answer! Want space and lots of it? The Chevy Suburban is as big as any SUV on the market! Or, you can try the new Chevy Blazer, Chevy’s latest midsize that offers space, efficiency and much more. If safety is your concern, then you couldn’t pick a better choice than a Chevy vehicle. If you have a family that includes a teenager that is just beginning or about to begin driving, then you should consider Chevy and its advanced Teen Driver technology! This technology helps encourage safe driving habits for teens with features like custom speed alert, audio limit and seat belt audio mute, which mutes the audio in the vehicle until all seat belts are buckled. Chevy vehicles with the Teen Driver technology include the Chevy Cruze, Malibu, Volt, Bolt EV, Camaro, Equinox, Traverse, Suburban, Tahoe, Colorado, Silverado 1500 and Silverado HD. Want to learn more about one of these Chevy vehicles? Contact our staff at Broadway Auto for more information or to schedule a test drive today!